E-Meter is a shortened term for electropsychometer. It is a religious artifact used as a spiritual guide in auditing. 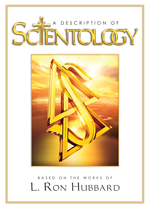 It is for use only by a Scientology minister or a Scientology minister-in-training to help the preclear locate and confront areas of spiritual upset. In itself, the E-Meter does nothing. It is an electronic instrument that measures mental state and change of state in individuals and assists the precision and speed of auditing. The E-Meter is not intended or effective for the diagnosis, treatment or prevention of any disease. 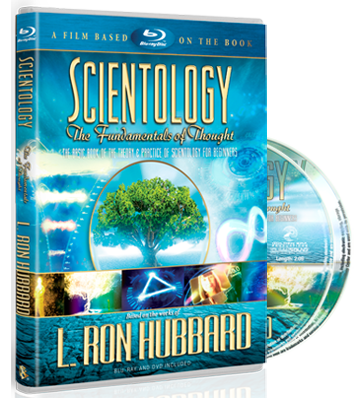 In order to understand how the E-Meter works, it is necessary to understand some basic Scientology concepts. There are three basic parts of Man—mind, body and thetan. The thetan is an immortal spiritual being—the individual himself. The thetan inhabits a body and has a mind, which is a collection of mental image pictures. When the person thinks a thought, looks at a picture in their mind, re-experiences an incident or shifts some part of the reactive mind, they are moving and changing actual mental mass and energy. These changes in the mind influence the tiny flow of electrical energy generated by the E-Meter, causing the needle on its dial to move. The needle reactions on the E-Meter tell the auditor where the charge lies, and that it should be addressed through auditing.